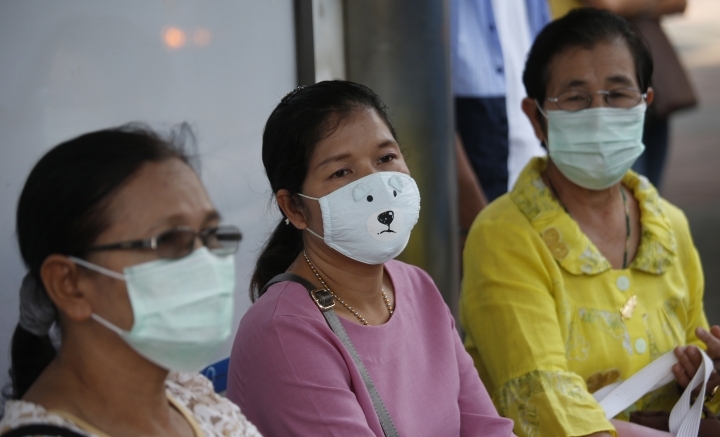 BANGKOK — Unusually high levels of smog worsened by weather patterns are raising alarm across Asia, with authorities in Thailand's hazy capital Bangkok handing out face masks and preparing to seed clouds for rain to clear the air. 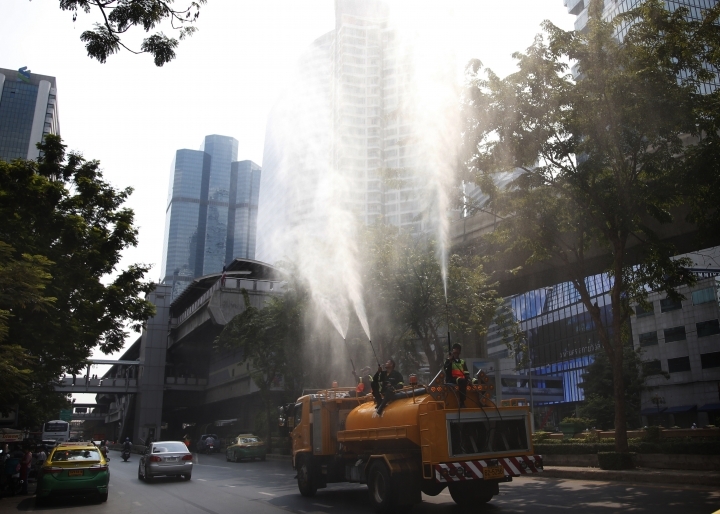 A combination of construction dust, auto exhaust and other pollutants, lingering over Bangkok due to prevailing weather patterns, has taken air quality to unhealthy levels in recent days. "I admit these are temporary solutions but we have to do it. Other long term measures will also be implemented, Police Gen. Aswin Kwanmuang told a meeting of army, police, pollution control and other officials on Monday. 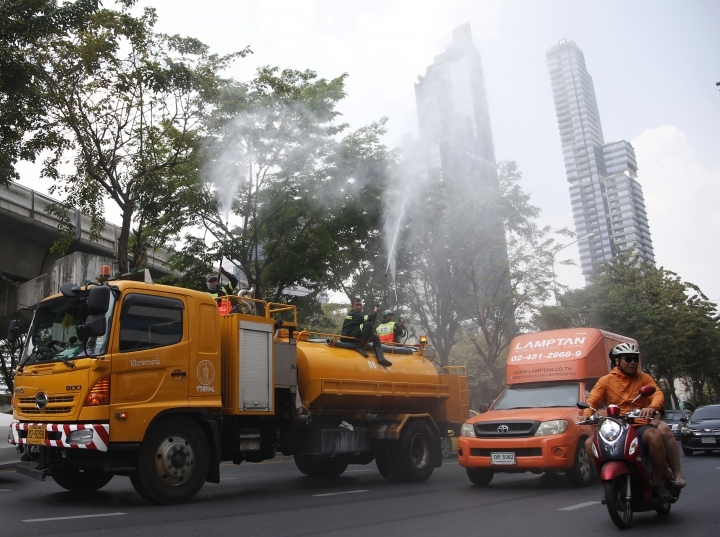 The city was handing out some 10,000 face masks, spraying water to help settle dust and tightening controls on when big trucks can use city streets — the Thai Pollution Control Department said that about half of the high levels of PM 2.5, tiny particulate matter that can dangerously clog lungs, was due to diesel engine emissions. The Department of Royal Rainmaking and Agricultural Aviation said it was preparing to deploy two planes for cloud seeding on between Tuesday and Friday, if conditions are suitable. 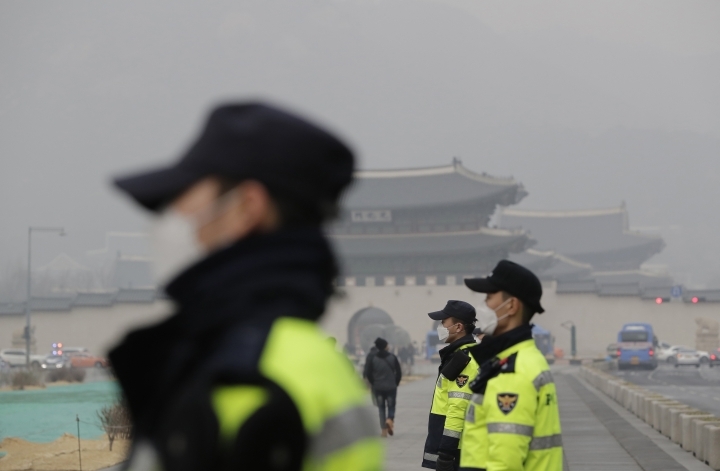 In South Korea, unusually high PM 2.5 levels prompted emergency measures to reduce the health hazard. 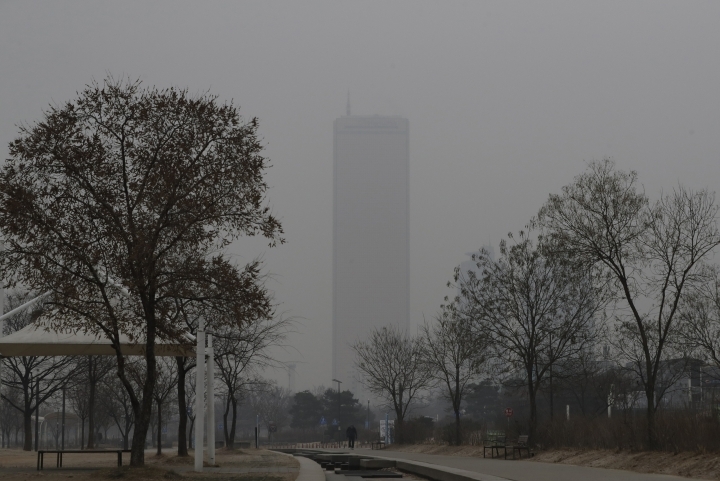 The country's National Institute of Environmental Research said the daily average of 120 micrograms per cubic meter in Seoul as of late Monday afternoon was the worst since it began monitoring for PM 2.5 in 2015. 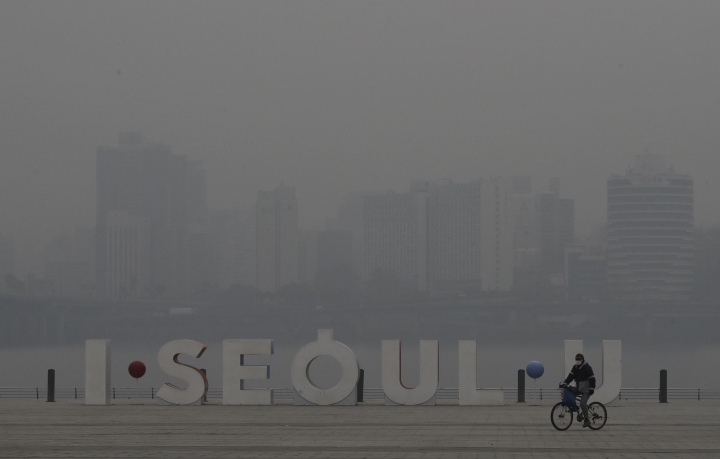 Over the years, South Korea has suffered repeated spells when silt and pollution-laden winds have swept over from northern China. But vehicle emissions are also a problem. 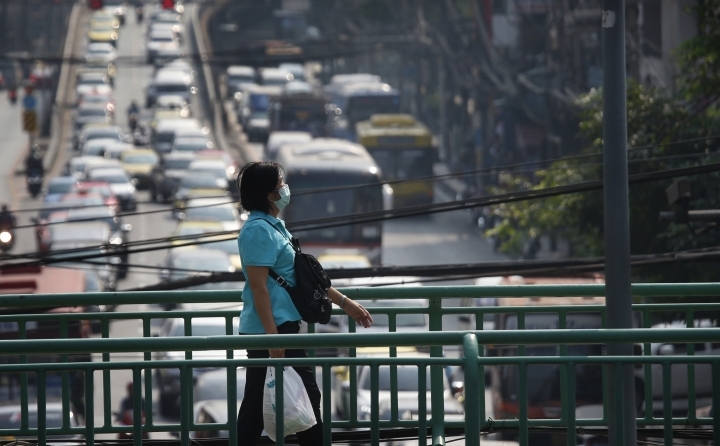 Thailand's air pollution problem tends to wax and wane partly depending on the season. As in much of the rest of Asia, burning of fields after harvests can cause severe smog at certain times of the year. 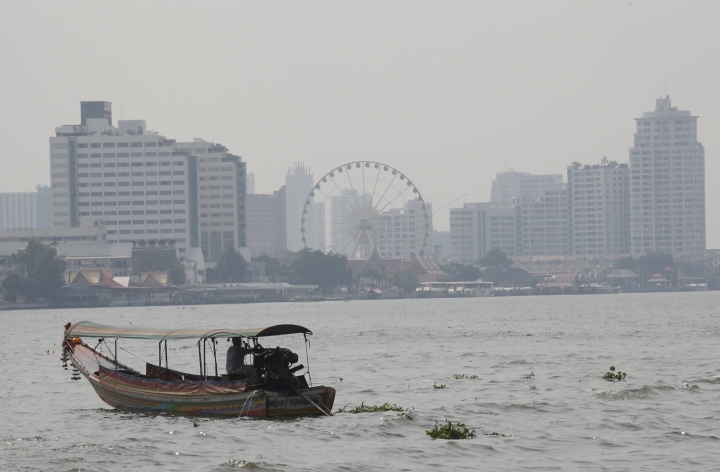 The spring smog has come early to tropical Bangkok. 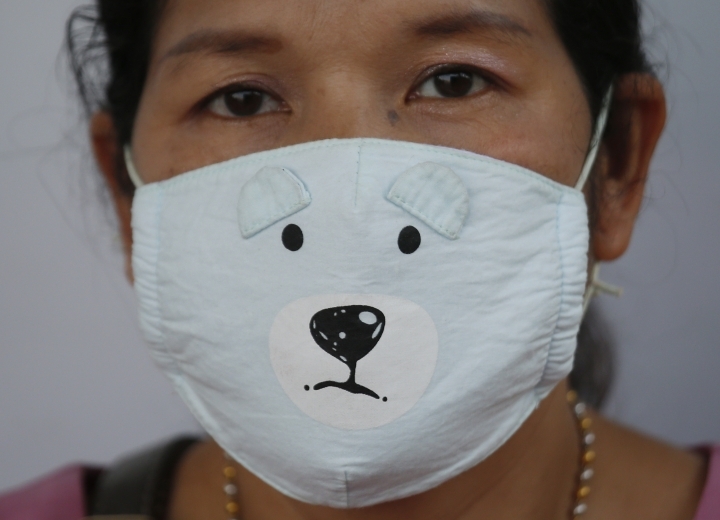 "There are a lot of factories and now that the pollution score is higher we have to be more careful," said Oranart Phongpreecha, 55, a housewife who lives just outside of Bangkok. "It's not that I get sick more often. But when I go outside, I have a sore throat and I can't see clearly. ... I'm afraid that polluted air is going into my lungs so I have to protect myself." 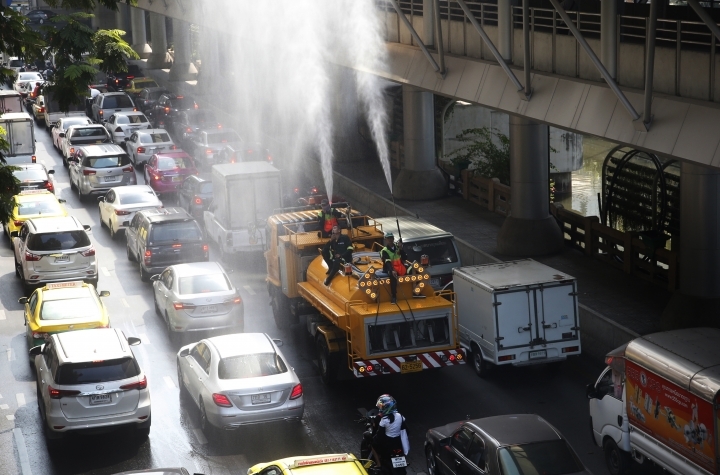 Pralong Dumrongthai, head of the Thai Pollution Control Department, said long term solutions would include switching to use of electric vehicles and better quality gasoline. He said the weather patterns suggest Bangkok might be stuck with bad air for up to three months. "I ask for public understanding when your vehicles are being checked, especially those that emit black smoke or big trucks," he said. "We need your cooperation." Pollution generally is out of control by the time countries take action. India's cities are among the world's smoggiest and it is just starting to tackle the problem. The Indian government has announced a five-year program to cut air pollution by up to 30 percent from 2017 levels in the country's 102 worst-affected cities. Key targets include reducing burning of field waste, firewood and charcoal, cleaning up thermal power and auto emissions and heavily polluting brick production and controlling dust from construction. Critics say the plan lacks details on enforcement and funding. Associated Press writers Hyung-jin Kim in Seoul, South Korea, and Vineeta Deepak in New Delhi, India contributed.